Nice scan, great background! Really a very nice wallpaper. I like it a lot. A lovely wallpaper! I like how well the manga scan of Sailor Moon blends into the moonlit background, and I think the shiney orbs at the bottom are a nice touch. Sense fully the dream to me. 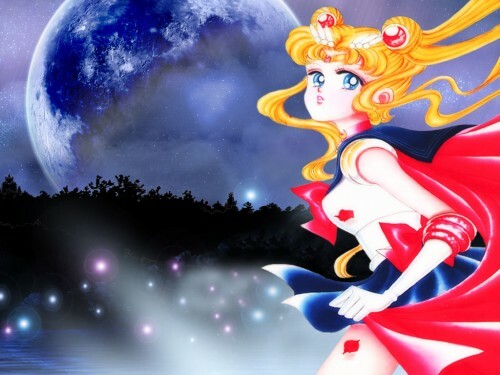 Very cool manga form sailor moon. GOod background too. Great work. Thanks. Nice picutre and I like the background behind it, It would make a nice background picture. i just have to agree...TOTEMOU KIREI DESHOU! keep it up...i'm loving it!